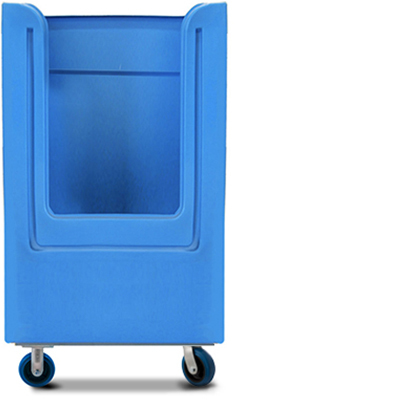 Take the strain away from transporting bulk laundry or linen exchange. 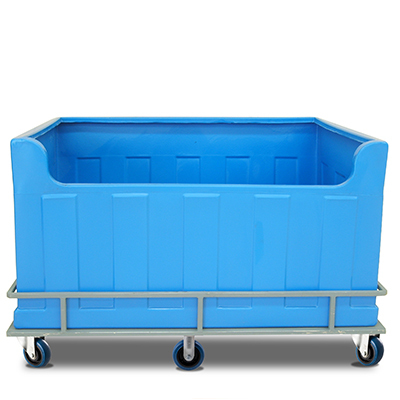 Our wide range of economic and ergonomic trolleys and tubs are designed for maximum hygiene, while being lightweight and easy to manoeuvre. Suitable for a variety of applications including hospitals, linen service companies, retirement homes, motels and appartments. 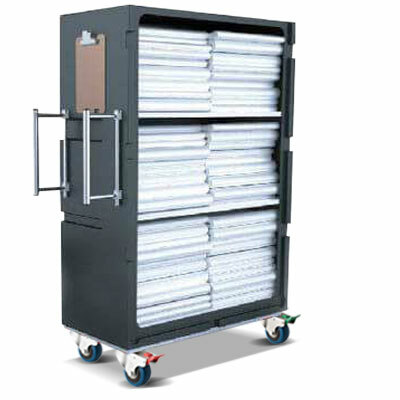 Depending on your needs, choose from a variety of sizes and configurations, as well as powered or manual trolleys. 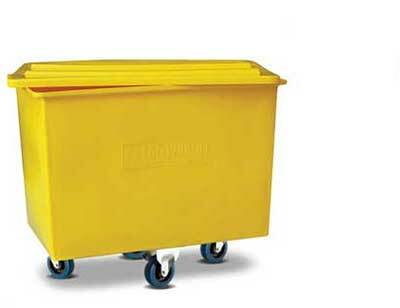 Lightweight, impact resistant, hygienic—easily cleaned and resistant to chemical and corrosion/rust. 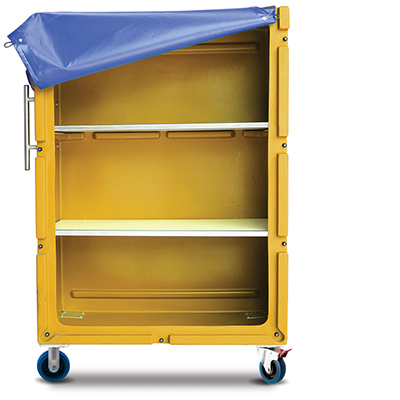 Easy to manoeuvre and designed to meet OH&S recommendations while reducing injuries from moving heavy loads. 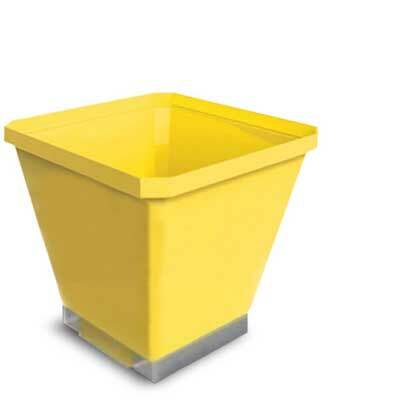 Made from 100% LDPE (low density polyethylene) recycled material and fully recyclable at the end of its life-span. 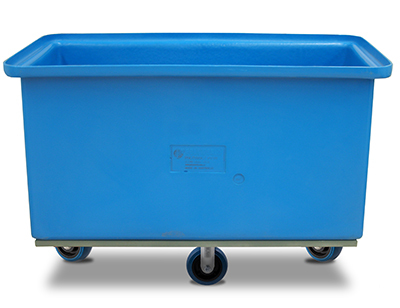 3 year warranty on the body and 3 year warranty on the Australian-made Fallshaw castors. 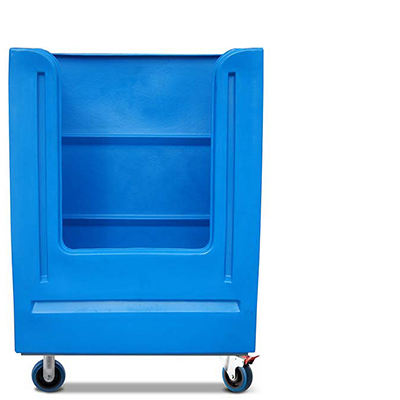 Shelves can be foamed, PVC or stainless steel. Stainless steel or cut-out handles. 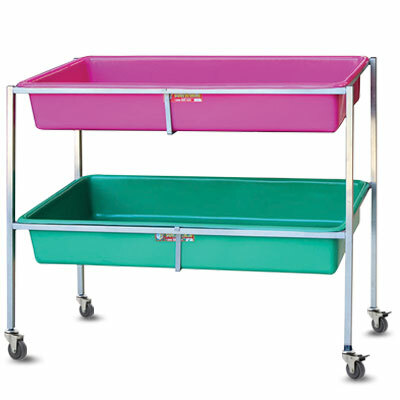 Galvanised or stainless steel trolley chassis. Tow pack for easier transporting of larger loads. Drain holes for trolleys needing pressure washing. Can be made AGV compatible. A range of standard or custom colours.